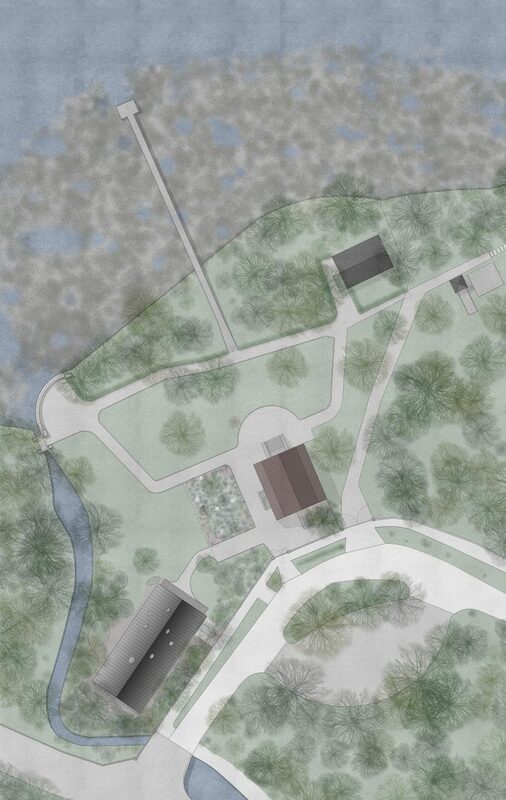 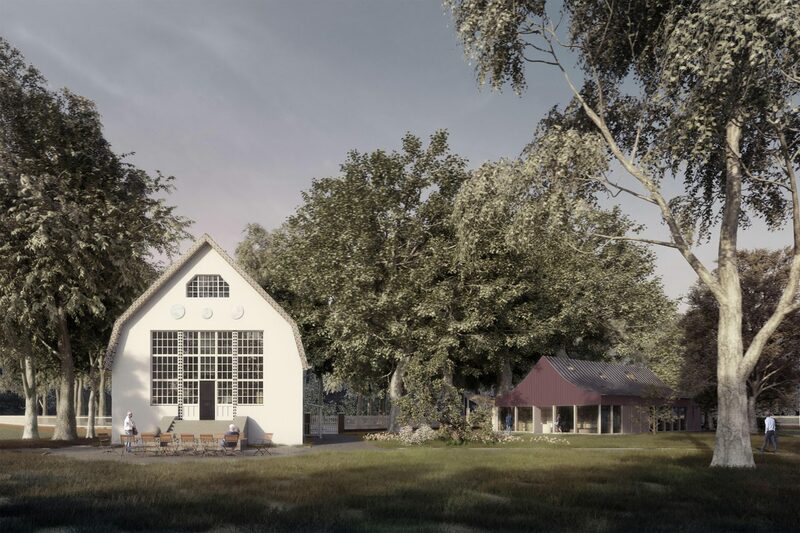 The proposal for a visitor centre to support the weekend house of Bertolt Brecht and Helene Weigel has been embedded carefully within the lush landscape of the listed garden as a long and slim pavilion sitting under large trees beside a small river. 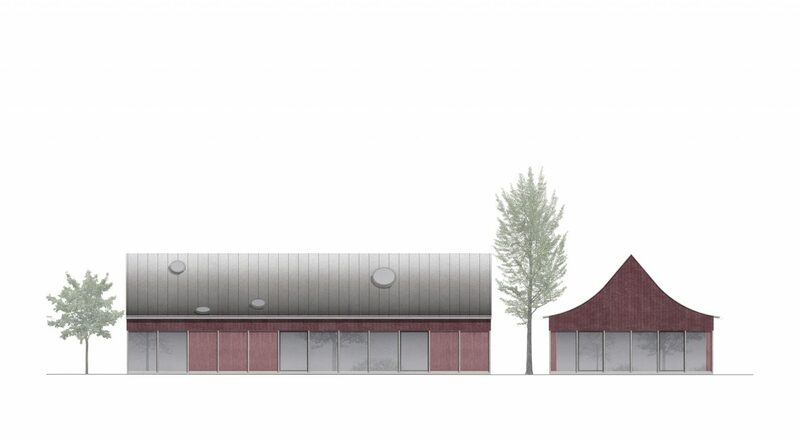 The building has been conceived as a light timber structure with a tent-like roof hanging between purlins that are resting on a series of both slim and chunky tree trunks, left natural on the exterior and painted in bold colours inside. 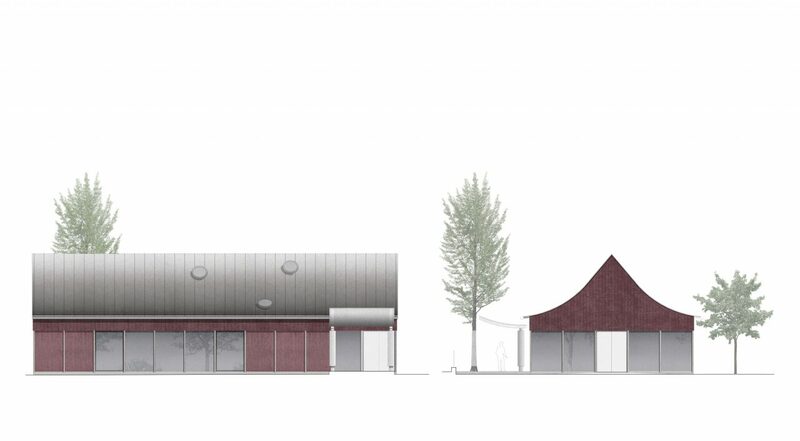 A thin cladding in deep red is lining the building all around at high level to tie the diverse programme of the interior together as part of the simple volume. 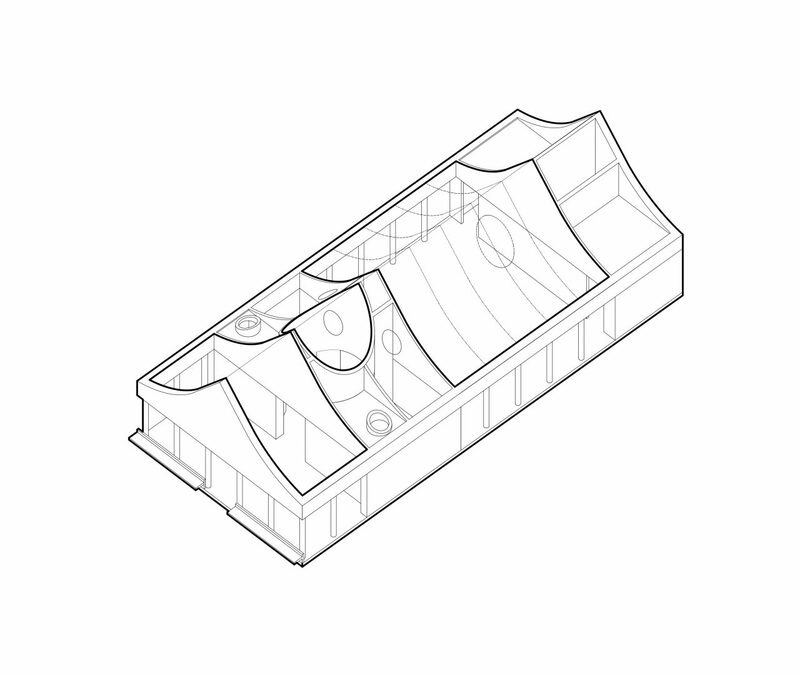 Inside, a suite of spaces has been arranged under the gently curved roof, with a tall reception hall overlooking the museum garden, a circular passage filled with green light from a stained glass oculus as a ‘lumière mystérieuse’ in the roof, and the main space, a festive large room for lectures, events and exhibitions, all arranged under the expressive roof draped across. 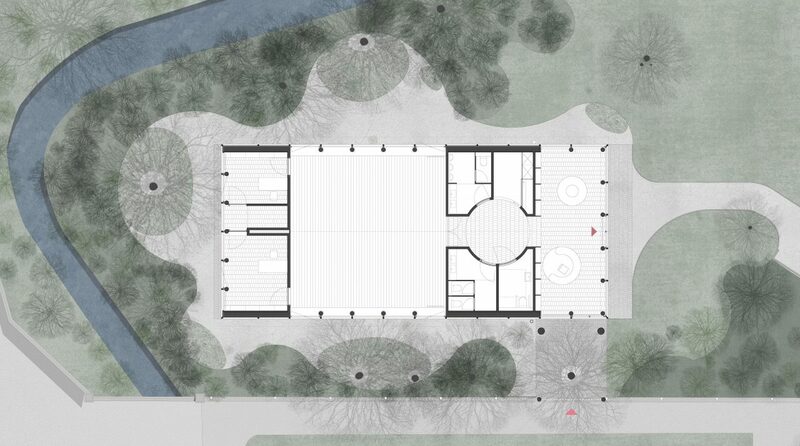 The flexible and generous interior offers views to both sides deep into the nature reserve garden. 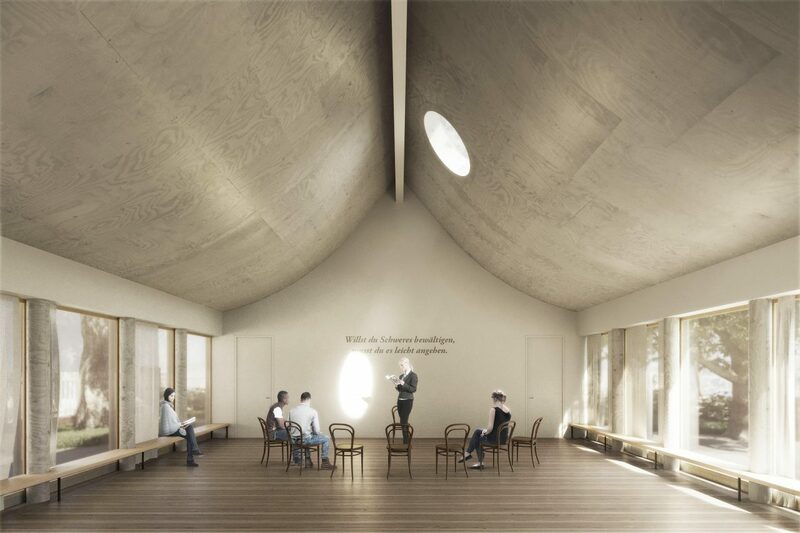 Its simple configuration provides an appropriate yet characterful stage for events and performances in different formats and allows visitors to have a direct and immediate encounter for experiencing the life and work of Brecht and Weigel.